John Travolta is speaking out against HBO’s documentary, Going Clear: Scientology and the Prison of Belief. Travolta, 61, said he will not be viewing director Alex Gibney’s investigative Scientology film. Scientology has always been a controversial subject. Travolta states that he has only had positive experiences and he has been happy with Scientology for 40 years. The film’s title does reveal its negativity, which neither Travolta nor fellow Scientologist Tom Cruise, 52, will support by watching the documentary. Travolta, wife Kelly Preston, and Cruise are the church’s most well-known celebrity members, as well as actress Kirstie Alley. Travolta said that in 2009, after he lost his son, Jett, when they were vacationing in the Bahamas and Jett had a seizure, Scientology was a great community of support. He said they helped him get through and he would not have made it without that strong-bonded community. He is now using his religion to help others. The actor also said that he has helped some people through tough times–the death of loved ones, including children and physical illness. He said he has used the technology that helped him, to help them and it always works. There is no reason for him to want anything to do with the negativity eluded by the film. He believes the documentary is a collection of people who are disappointed with their experiences. Going Clear debuted March 29 on HBO at the Sundance Film Festival. The documentary is based on Lawrence Wright’s 2013 best seller that purported wrongful behavior occurred within the Church of Scientology. The church is accused of illegal actions from physically abusing members to blackmailing members who want to leave the church. Scientology has discredited the book and claimed the documentary is being dishonest. Moreover, the church contends that the film is based on the stories of liars and “professional anti-Scientologists.” This was the defense of a Scientology representative to People last month. Travolta has just dismissed the claims in the film, while another celebrity thanked the director of Going Clear for having the fortitude to follow through with such a controversial project. Actress Leah Remini had a very high-profile exit from Scientology in 2013. She spoke out thanking Gibney and his crew for speaking out for those who could not on their own. Remini, 44, opted to leave Scientology for the protection of her daughter in February 2014. She said the church appears loving, nice, and non-judgmental, but in truth, they judge anyone who does not believe the same as they do. The documentary features interviews with eight former Scientology members. The film also credits the church with splitting up Tom Cruise and Nicole Kidman, as well as torturing members in a prison named ‘the hole’. The film continues on, saying members had to perform hard labor and that the church harasses those who have left Scientology. The documentary also claims that Travolta will not leave the Church of Scientology for fear the church will reveal intimate details of his personal life. 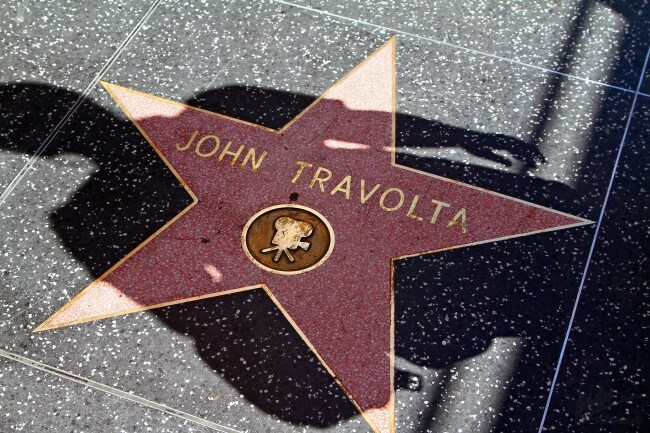 Travolta has denied those claims. Travolta is said to visit Scientology headquarters in Clearwater up to five days a week.